Margaret Leafstedt is a speech-language pathologist in Savage, MN. Practice Type: • Rehabilitation Agency Practice Areas: • Speech Language Pathology • Speech Therapy Take the next step and contact Margaret Leafstedt for a consultation in Savage, MN or to get more information. Cynthia Landis is a speech-language pathologist in Minneapolis, MN. Practice Type: • Office Practice Areas: • Speech Language Pathology • Accent Modification • Orofacial Myofunctional Disorders Take the next step and contact Cynthia Landis for a consultation in Minneapolis, MN or to get more information. Erin Bodner is a speech-language pathologist in Minneapolis, MN. Practice Type: • Elementary School Practice Areas: • Speech Language Pathology • Speech Therapy • Fluency and fluency disorders Take the next step and contact Erin Bodner for a consultation in Minneapolis, MN or to get more information. Kathleen Dauer is a speech-language pathologist in St Paul, MN. 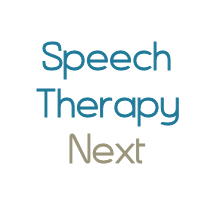 Practice Type: • Speech-Language Treatment Center/Clinic Practice Areas: • Speech Language Pathology Take the next step and contact Kathleen Dauer for a consultation in St Paul, MN or to get more information. MaryLynn Gillin is a speech-language pathologist in Mendota Heights, MN. Practice Type: • Self-Employed Practice Areas: • Speech Language Pathology • Accent Modification Take the next step and contact MaryLynn Gillin for a consultation in Mendota Heights, MN or to get more information. Anne Nelesen is a speech-language pathologist in Minneapolis, MN. Practice Type: • Outpatient Rehabilitation Center Practice Areas: • Speech Language Pathology • Augmentative Alternative Communication Take the next step and contact Anne Nelesen for a consultation in Minneapolis, MN or to get more information. Antonio Caldwell is a speech-language pathologist in Minneapolis, MN. Practice Type: • Outpatient Rehabilitation Center Practice Areas: • Speech Language Pathology • Swallowing disorders • Voice Disorders Take the next step and contact Antonio Caldwell for a consultation in Minneapolis, MN or to get more information. Julia Halvorson is a speech-language pathologist in Waconia, MN. Practice Type: • Hospitals Practice Areas: • Speech Language Pathology • Aphasia • Apraxia • Speech Therapy • Swallowing disorders • Voice Disorders Take the next step and contact Julia Halvorson for a consultation in Waconia, MN or to get more information. Chandra Rothstein is a speech-language pathologist in Waconia, MN. Practice Type: • Elementary School Practice Areas: • Speech Language Pathology Take the next step and contact Chandra Rothstein for a consultation in Waconia, MN or to get more information.